Best advice in knowing your own identity is fully exploring yourself, your style. This is Hard. Unending battle on how to standout not only from other artist but also the struggle in creating the so-called “perfect” artwork is not effortless. I DON’T LIKE MY ARTWORK. Masters become masters because they know and accept the fact that there is no such thing as “perfect” art. This made them real and human enough to make priceless pieces. 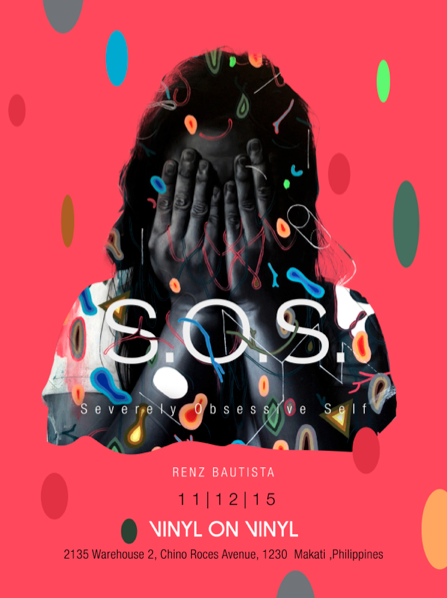 S.O.S., represents the endless re-planning and revisions of an artist to achieve an ideal piece. Inspired by the late performance artist Bas Jan Ader’s work about a piece of paper that almost tears off due to the continuous draw-erase repetition, all result of the unsatisfied feeling towards his (Bas Jan) work. This collection magnifies struggles of a young artist in discovering his own piece of “perfection”. Today, severely obsessive self is born.